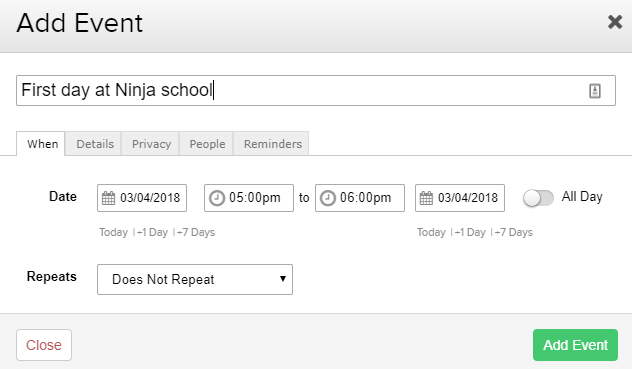 Within Teamwork Projects, you can quickly add a new event no matter which part of your site you are currently in, by using the quick add + button in the top right above the search bar. After selecting the +, you can click the Event option. 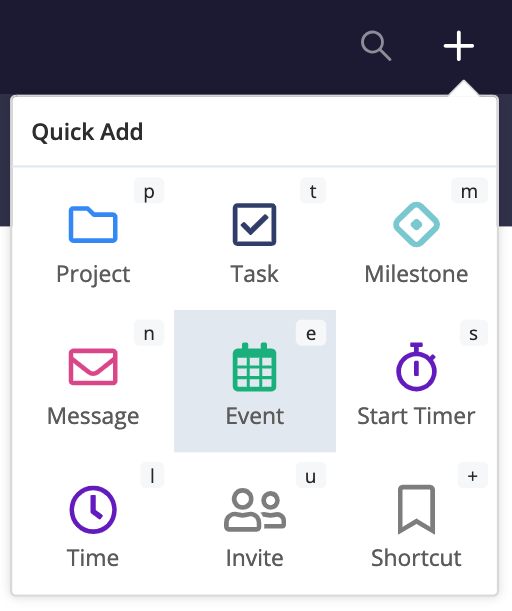 Alternatively, you can use our keyboard shortcuts by pressing q on your keyboard to bring up the menu then press e.
When you choose to add an event in this menu, you can use the new event creation window to add all the event details - all without leaving the screen you were viewing.